Most of us use Skype to chat or video call someone. There was a time when we use to video call our loving one using Skype. However, nowadays there are many messaging services that allows us to video call, chat with our favorites such as Facebook, Instagram, WhatsApp, Line, Viber, etc. But, the companies still use to take online interviews using Skype, and there are many peoples who are using Skype for official works. But, have you ever think that what if you sent an inappropriate message to your boss mistakenly? Of course, you would like to delete or remove that message. You can explain to your boss about that mistake but, you have to feel embarrassment for that. So, to solve your problem here is an amazing article for you. 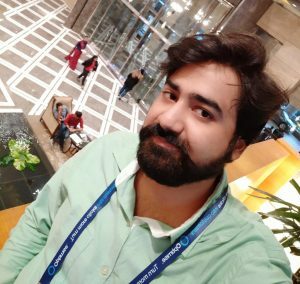 If you are an employee then you can take the help of top 12 Skype for Business tips and tricks. Learning the technique of how to delete Skype messages is very simple and straightforward. The method to delete Skype messages is the same in every device that are Android, iPhone, Windows, and Mac. Even this method is applicable if you want to delete a message on Skype Online. There is no extra stuff you need in order to delete Skype messages. 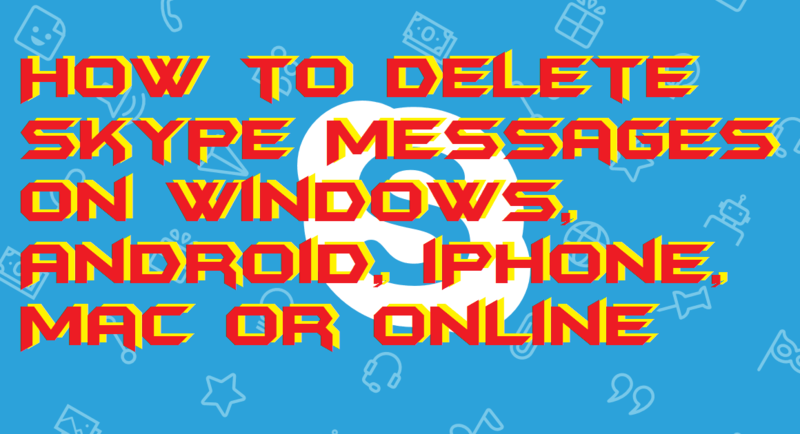 You can also use this method to delete Skype message from the inbuilt Skype app of Windows PC/laptop. I have also posted an article about how you can use Skype without Microsoft Account, so yes you can take help of it in that. So, what are you waiting for, let’s learn how to delete Skype messages. Open the Skype application on your device (Windows, Android, iPhone, Mac) or you can visit web.skype.com for Skype Online. Now, log in to your account, if already did then move on to the next step. Then, you will be able to see the conversations that the home page. After that, click on any conversation whose message you want to delete. Now, tap and hold the message that you want to delete. You will get a small menu popup, then click on Remove. You will see that the message saying “This message was removed” is been placed on the place of your actual message. That’s it. You have now learned about how to delete Skype messages on various devices. If you are trying to delete an old skype message then I have bad news for you. Actually, you can not delete old Skype messages currently. Why? Because Skype has the limit up to 60 minutes that a user cannot be able to delete any message which has been sent from past 60 minutes. In simple words, if you have sent a message at 5’o clock and want to remove it before 6’o clock then it will be fine, you can delete it. But, after one minute later from the 6’o clock, you won’t be able to delete that message. That is the restriction which I was talking about. It is possible to delete a message from Skype on both sides. However, there is a thing which you must remember. Definity, you can actually delete a message which you have sent mistakenly. But, a sample text which is “This message was removed” will be placed in place of your actual message. This text will be displayed to the receiver if you will delete a message. Moreover, the benefit is that you can delete your actual message. Where the limitation is that you can not completely remove a message that you have sent. This was all about how to delete Skype messages. I hope you have learned everything about deleting a message on Skype. As I said earlier, just make sure that you are having 60 minutes in order to delete Skype messages. So, make sure you delete a message within 60 minutes otherwise anything wrong can happen with you because of that mistakenly sent message. You can share this article with other persons who use to chat or calls on Skype. Such that they can also learn how to delete Skype messages.